Ah, the Skyline. Against a skyline. Nice. 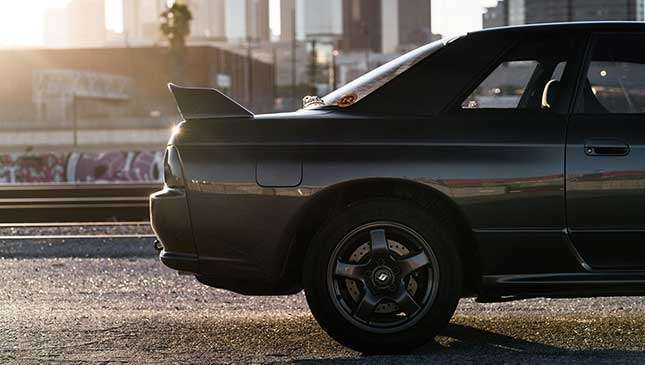 The Skyline, in our opinion, is the car that made Nissan. Never mind that it was actually invented by Prince—no, not the ‘Purple Rain’ one, the Japanese car manufacturer, which merged with Nissan in the '60s. Nissan kept the excellent 'Skyline' name—and the somewhat suspect 'Gloria,' but we digress. 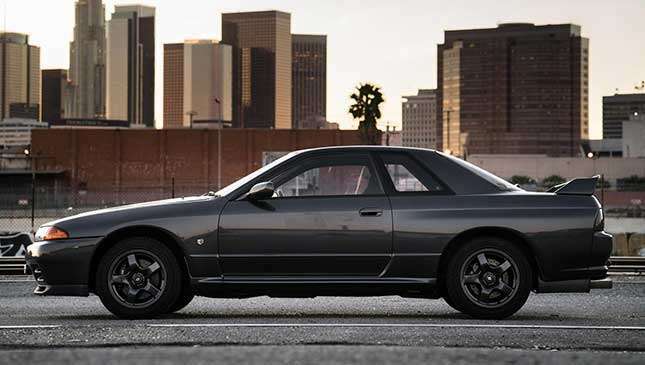 The Skyline nameplate dates all the way back to the late '50s, but it’s the 1989 R32 Skyline GT-R that really put Nissan on the map. 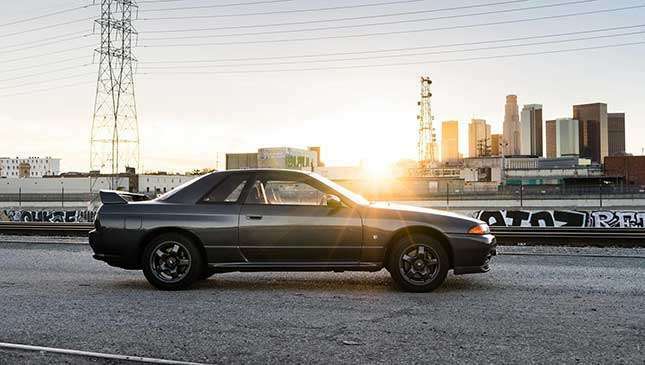 Even though there had been quite a few highlights in the range over the years—the original 1969 GT-R, for instance, and the R31 GTS-R—the R32 left an indelible mark, both on the road and in motorsport. Tell me more about this PlayStation hero. The R32 really was a perfect combination of performance parts, working together in perfect harmony. We won’t wax lyrical about synergy and 'more than the sum of its parts'—the GTR was exactly the sum of its parts, and all the parts were very special indeed. To start with, the 2.6-liter straight six was built to handle up to 500hp—or about the amount that Nissan expected to use in racing trim. Twin turbochargers and six individual throttle bodies helped the engine produce a claimed 276hp, to fit in with the 'gentleman’s agreement' that was going on between Japanese car makers at the time. In reality, there was more like 300 to 310bhp on offer in the road-going cars. Getting this power down to the road is a fantastic all-wheel-drive system, which can send anywhere between zero and 50% of the 300-odd horsepower to the front axle. 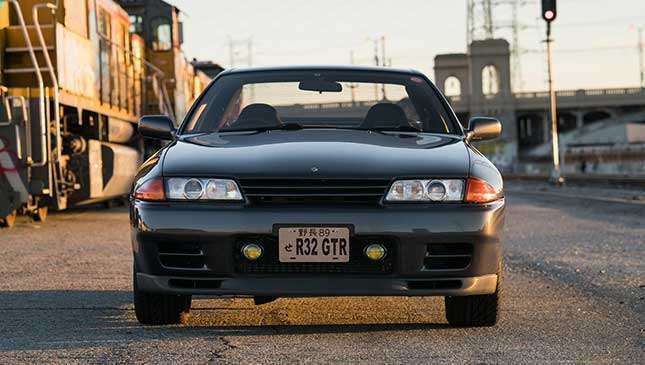 Yes, that’s right—under the right conditions, the R32 GT-R is rear-wheel-drive. 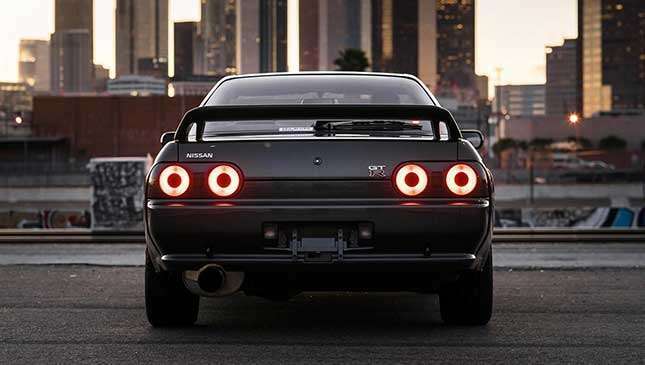 To do this, the R32 GT-R uses an electro-mechanical all-wheel-drive system—like the Porsche 959—which can completely separate drive, rather than viscous-coupling systems, which always put some power to each axle. Is there any more suspension occuring? You know how everyone’s impressed by the four-wheel-steering on the new F12tdf and Porsche 911? 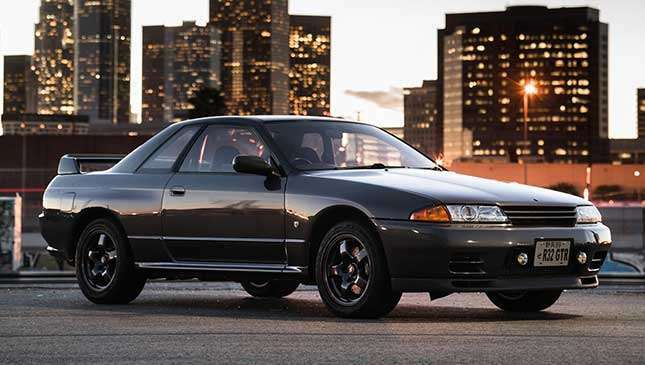 Well, the R32 GT-R had it back in 1989. And, before you say, "So did the Honda Prelude and the Mazda 626," let’s make it plain—they used it for tight corner mobility. The GT-R used it for ballistic cornering ability. Finally, there’s the exceptionally complex suspension that underpins the R32 GT-R. Up front, you’ll see a fairly common dual-wishbone setup, but there’s a third link on the upper wishbone, improving the amount of control the suspension has over camber and deflection. And then there’s the confusing conglomeration of parts that make up the multilink rear end. Must have been handy on track. Hardly surprising. It racked up an incredible race record, with outright wins in Japan and Australia, and class wins at Spa and the Nürburgring. 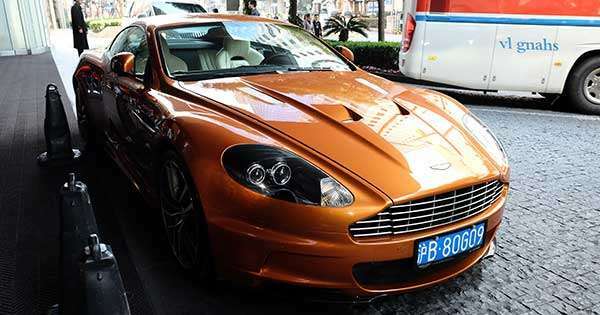 In fact, it was so successful in Australia that Aussies gave the car a name: Godzilla, the monster from Japan. Unfortunately, it showed up the locally built product so badly that it was first foisted with huge weight penalties and turbo restrictors, and, after that didn’t stop it winning, rule changes effectively banned it entirely from Australian Touring Cars. Quite the car, then, you’ll agree. Unfortunately, thanks to the unerring human trait of not leaving well enough alone, it’s basically impossible to find a completely standard, unmolested example. Is this a completely standard, unmolested model then? You’ll be happy to note, that yes, we’ve gone and found just that. Somehow, this particular R32 GT-R has made it through 28 years of its life without gaudy bodykits, 'fully sick' turbo kits or SEMA-approved suspension lowering. In fact, the only part that isn’t entirely standard is that cannon-sized exhaust out the back, and even it’s from Nismo, Nissan’s motorsport division. So, you might be curious, how much is it for all of this gloriously nerdish performance in such an unassuming shape? Well, this one’s up for grabs at Auctions America, which is an American auction house (funnily enough), with a price guide of around £28,000 (P1.76 million) to £36,000 (P2.26 million).